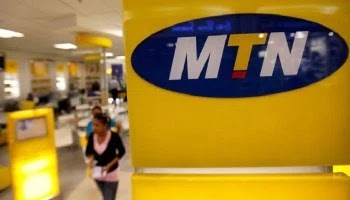 The Chief Executive Officer of MTN Nigeria, Mr Ferdinand Moolman yesterday appealed to the senate to consider the Data price floor as set by the Nigerian Communications Commission, NCC, saying that data price is among the lowest in the continent. Moolman who made presentations in Abuja, at the Senate hearing on Data price floor,also noted that the inability of telecom operators to access forex and that of the activities of the unlicensed providers of “over-the-top” telecoms services, contribute to the dwindling fortunes of licensed operators in the country. There’s also the inability of operators to access foreign exchange. This is particularly debilitating given that most of our inputs are sourced off-shore. This has very significantly increased both operating and capital expenses. “Despite these macro-economic challenges, telecom tariffs have declined significantly to over 67% between 2007 and 2016 and data prices are amongst the lowest on the continent. “With this in mind, MTN looks forward to the cost study as confirmed by the NCC, and remains committed to working with the Regulator and Industry to ensure fair value and fair competition in the Nigerian market”. Moolman added that MTN actively contributed to the development of the National Broadband Plan, and has consistently taken every step to facilitate the achievement of Government’s objectives of pervasive, cost-effective and sustainable access to data services by all strata of Nigeria’s population. The company continues to be an ICT development partner to the government and people of Nigeria.